A review of any product should be more than just the effectiveness of the product after one use. It should be more than just the feel and look of a product. It should just be more, but when you want more that takes more time. That means the video will be long (we're talking ten plus minutes and no one wants that), and so would the delivery of said video. That's why it pays to have a blog so I can give you updates with how products are treating me after the initial review. So welcome to my very first "Going Beyond the Video" blog post! I hope you enjoy. Today were going beyond my initial review of my latest review, which is the Thank God I'm Natural Moist Collection. Like I said in the video, I'd been using this line of products for a few weeks and I'd been loving the line so far, however I didn't review everything that was sent to me. Lets get to those products first. I love the lip balm! It's really moisturizing and gives your lips a nice sheen. It's also all natural, which is a huge plus! I'm used to (and swear by) the CO Bigelow Mentha Lip Tints. But sometimes if you get a lil' too happy with your application, your lips can appear to drenched in chicken grease...not a good look. 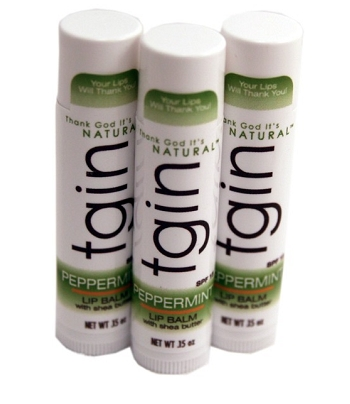 So using the TGIN lip balm is a safe bet to get the right amount of sheen each time. I also love that you get a pack of three. I have one in my bathroom, living room and one in my car so I can always keep my lips pucker up ready no matter if I'm indoors or on the road. 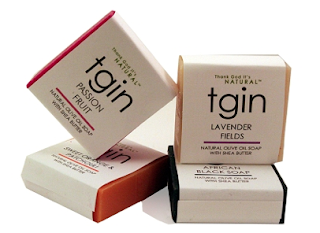 I also received two bars of this all natural soap in different scents; passion fruit and lavender fields. I used the passion fruit soap first. I loved the way it smelled, but unfortunately after one use it broke me out. I got little red bumps on my chest after I used it in the shower. This is not the first time an all natural soap broke me out in the same place-my chest. In the spring of last year I used Karen's Body Beautiful's all natural soap that was given to me after visiting her store in Brooklyn in December. I was so excited to use it as there was so much hype surrounding natural soaps and I'd never used one before. I used it a number of times in the shower and then, out of nowhere my entire chest was broken out. It was so embarrassing because it was the very beginning of spring and I was just about to break out my low cut tops. Here is a picture from a past styling tutorial as proof. I say all that to say I'm apparently allergic to possibly a main ingredient in scented natural soaps. I've used both Shea Moisture and Dr. Bronner's Magic Soap (which what I'm currently using and loving!!) and haven't had any negative side effects. I'm so glad this book was included in the package that was sent to me. My sister originally gave me an autographed copy of this book for Christmas when I was transitioning. I read it cover to cover and never let anyone touch it. That is until my friend who cried she wanted to go natural borrowed it and somehow never found her way over my house to return it (every time I see her on Instagram posing in her newly installed weave, I cringe). So I'm happy to have this copy to take its place! 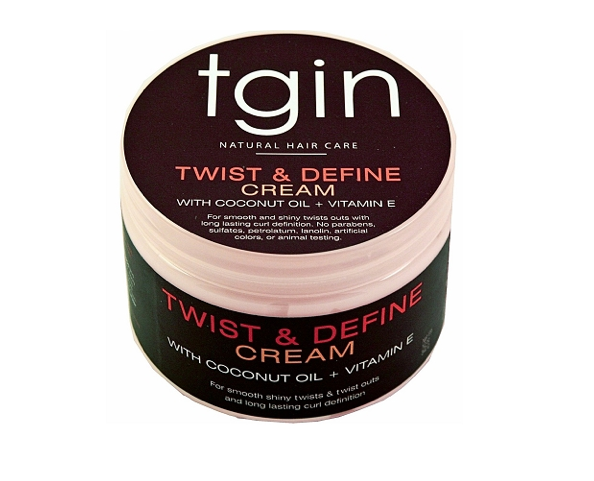 As you saw in this review, this product gave me an amazing twist-out and and did so when I used it off camera as well. 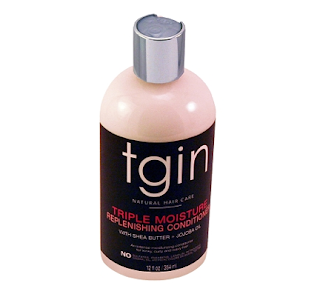 I will say that you must use the Daily Moisturizer before applying this product to avoid having a crunchy twist-out. I've used it without the moisturizer and my hair was a dry, but beautiful mess. I know some folks don't care how their hair feels, only the way it looks, but that's not me at all. To be honest, I'm not the biggest conditioner fan and haven't been for quite some time, but this product shocked me the most. It's so moisturizing! I could very well deep condition with this product after all of the Honey Miracle Deep Conditioner is gone (I curse the day!!! Lol). All the rest of the products are still amazing and I don't feel differently about them. If you're not a stickler for ingredients, this a great collection to have. Unfortunately because of these ingredients, I won't b using any of the products during my 30 day detox, which starts next week. 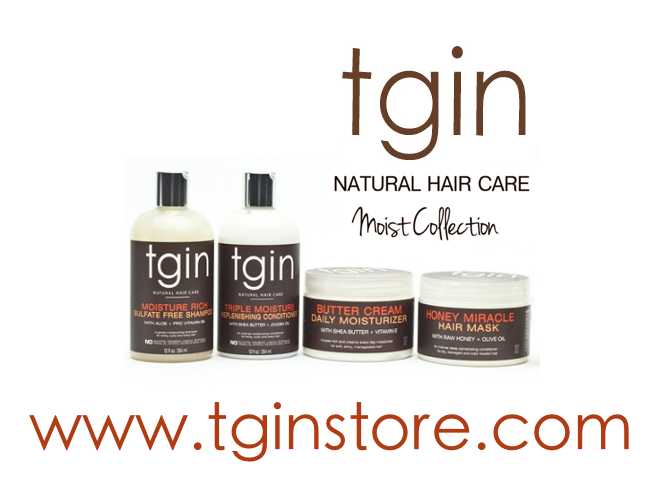 Have you bought the Thank God I'm Natural Moist Collection? If so, how'd you like the products? Thanks for the update, the ingredient list has kept me from buying and repurchasing products, so i'm still on the hunt for truly "Natural and/or Organic Products" that really work! The 30 Day Beauty & Body Detox - Join Me!!! Cop this Style: Curls on Curls on Curls!